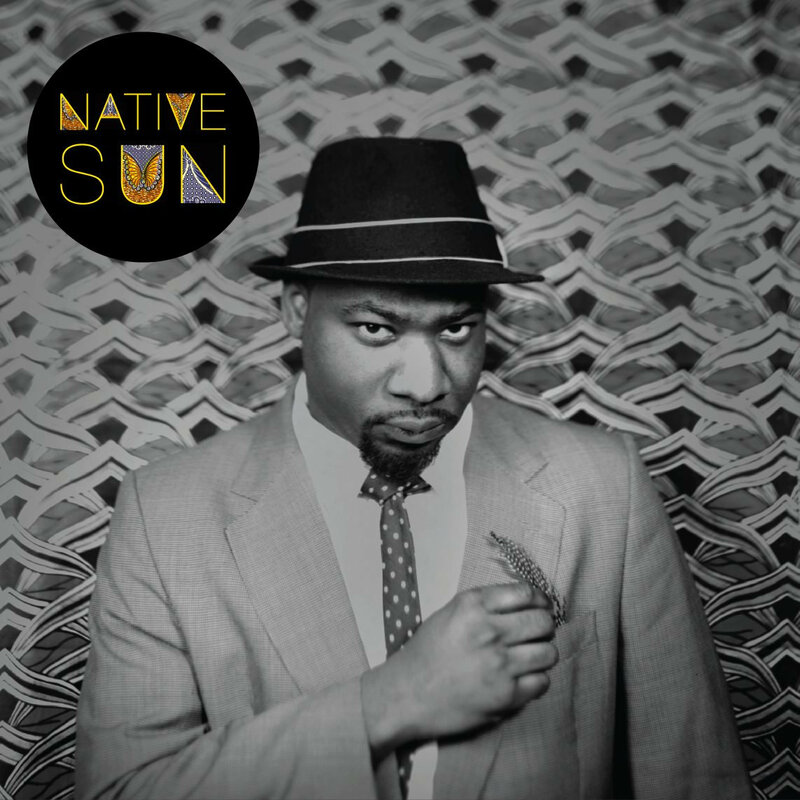 Native Sun is t he follow up to Blitz The Ambassador’s 2009 soulful blend of hip-hop “Stereotype”. Using the jazzy sounds of his previous efforts and taking it one step further, Blitz embraces his African roots and thus we are treated to an expansive mix of hip-hop and afrobeat. An ancient horn takes centre stage and removes us from our comfort zone. This sound is quickly joined by light African drumming, and we are left wondering how Blitz is going to rap over such traditional production. But we are quickly reminded this is a hip-hop album as the track begins to incorporate vinyl scratching and other more familiar sounds. Lyrically Blitz is taking us on a cinematic journey through his homeland. It’s a burst of creative genius using the medium of positive hip-hop music. “Dear Africa” is an open letter to his country of birth. “I wonder how you keep a smile on your face, sun is still shining reminding me of your warm embrace”, it is a genuinely poetic piece of writing which is complemented by a rich blend of mellow sounds. He is accompanied by Les Nubians on the chorus which adds to the authentic nature of the album.“Akwaaba” is rapped almost entirely in African (a common feature of the album) but its uplifting horns and uptempo rhythms means it remains universal in it’s appeal. At first the sounds are a little unusual to the casual listener, but we are soon immersed in the world of Native Sun and I for one fully embraced its bold delivery. A real highlight of the LP is “Best I Can” Feat. Corneille. It features haunting guitar strings combined with Blitz rapping at a pace which comes close to a Bizzy Bone or Twista. Lyrically he pours out his heart on this track whilst a distorted choir further enhance his verses. Corneille sings “I hear these voices in my head, I look at the choices that I made, trying to be the best I can”. It is a reflective mantra which encapsulates the mood of the song. The use of gently strum guitars is evident throughout the project, usually accompanied by soft drums. Although you could be forgiven for thinking that this music sounds light, Blitz carries a powerful lyrical style which brings a revolutionary message of unity. Therefore it is anything but. A jazzy interlude serves as a bridge to the second part of the album. “Accra City Blues” is a journey through a war torn city, I would compare it favourably to Marvin Gaye’s “What’s Going On”, it may yet become an African hip-hop anthem for years to come. Certainly it reflects the people better than past attempts by plastic artists such as Akon. Many mainstream attempts at African music often result in tokenism, this is the real deal. The choice of guests on the album is a real strong point. Chuck D. makes a brief appearance on “The Oracle” whilst underground favourite Shad joins Blitz on the title track “Native Sun”. The cohesive nature of the sounds make it impossible to separate their quality. Rather than feeling like a track by track album, it plays more like a melting pot of expermental music which amazingly keeps shape amongst the chaos of African/hip-hop fusion. The pieces are emotionally layered in that they are both celebratory and honest in their representation of African life. Proceedings come to a close with “Ex-Itrance”, a continuation of traditional African sounds met with Blitz in spoken word form. At 12 tracks long the project is a neat 44-minutes and yet there is enough music to digest for years to come. It does what every great album should do and leaves a lasting impression.